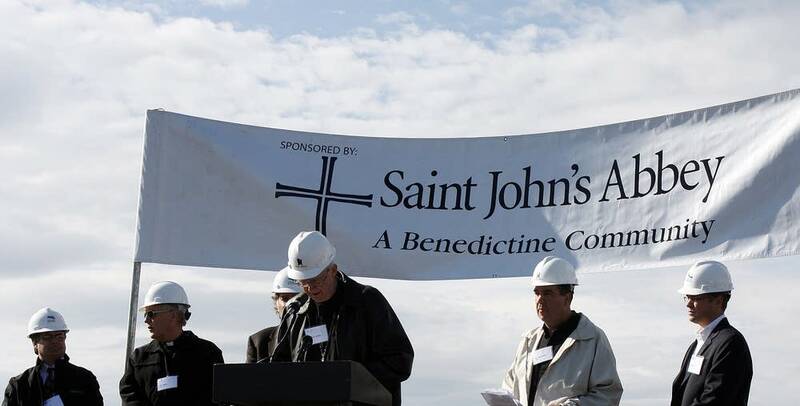 The largest experimental solar farm in the upper Midwest will sit on land that belongs to St. John's Abbey of Collegeville. The solar farm will be four times bigger than Minnesota's current largest solar power system, and it will generate five times more energy. The groundbreaking took place Wednesday afternoon. The solar farm, which will sit on four acres of farmland, will consist of 1,820 solar panels in 35 rows. "Looks similar to a row of corn in some sense, that is, lined up in the field perpendicular north-south and faces the east-west in the morning," said Nathan Franzen, manager of Westwood Renewables, an Eden-Prairie based design and engineering consulting firm. The company will maintain and operate the solar farm and is collaborating with St. John's Abbey and St. John's University on the project. Mario Monesterio, principal of Westwood Renewables, said the solar panels have a tracking system, so they will follow the orientation of the sun throughout the day to generate maximum solar energy. "So it follows the sun throughout the day, and at certain times of the day, you can almost imagine all of these solar panels being perpendicular or flat, parallel to the ground," he said. "So that would look like a large table." The tracking system will increase the power output of the panels by about 15 percent, and produce enough energy for about 65 homes. That's a standard average for a solar facility this size. The solar farm is designed to keep about 80 percent of the area in which it will sit untouched, with minimal impacts to the existing ground. Franzen said if the panels didn't move, the facility would require hardly any maintenance. The solar farm fits St. John's goal of practicing environmental stewardship. Two years ago, then-president Brother Deitrich Reinhart signed the American College and University Presidents' Climate Commitment. That directs St. John's University to work toward becoming carbon neutral; so the solar farm project is a step in that direction. 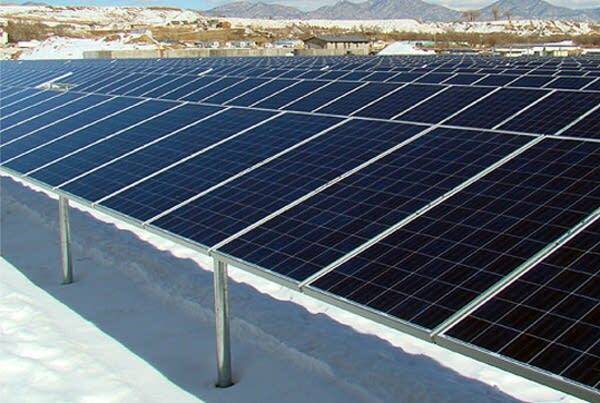 Brother Aaron Raverty, communications and development coordinator for St. John's Abbey, said Xcel Energy wanted a location in the upper Midwest with an educational environment for this solar farm. Raverty said that educational component is a key part of the project. "It will be a facility to see if such a solar farm will really work here in an upper Midwest environment," he said, "and whether the students can use this facility as a way of furthering solar technology to see if it can be more effective in this area of the country." Raverty said the environmental studies program at St. John's University will likely develop a curriculum that will give students hands-on experience on solar technology, from how it operates to how it affects the environment. During the summer, the solar facility will generate about 20 percent of the Abbey and university's electrical needs; and overall, it will provide 4 percent annually. Franzen said most people don't think Minnesota is a good area for solar energy technology, but it actually is. "The main reason for that is that solar works more efficiently in cooler temperatures," said Franzen. "So if you take this solar system and put it in New Mexico, on the same sunny day, it will actually produce more in Minnesota because of the cooler temperatures than it will on a hot day in New Mexico." That's because electronics generally work better in cooler temperatures. Franzen and Monesterio said they hope the project will dispel myths about solar energy and prove that it's viable in the state. A $2 million grant from Xcel Energy's Renewable Development Fund will help pay for the project, so the money will come from Xcel Energy customers. The remaining money will come from tax credits and equity investors, as well as from payments for the energy that's produced by the solar farm. 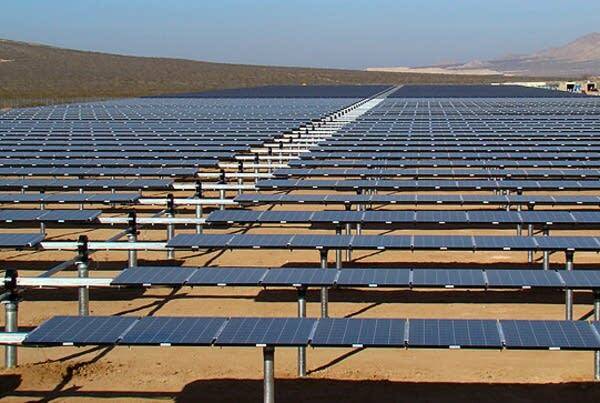 The solar facility will be fully operational by the beginning of December.